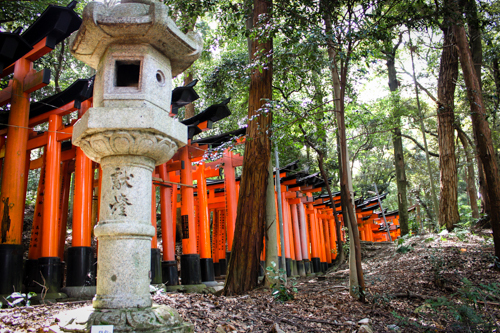 Starting at the base of a mountain just south of Kyoto, the Fushimi Inari Taisha (or shrine) snakes up and through the trees providing a serene, contemplative mood. Thousands and thousands of vermillion orange toriis line the pathway making for an astounding and elegant display. Most people keep to the bottom trails but climbing to the top will afford peace, quiet, and stunning views. It’s perfect for an afternoon away from the city. I wish I had time to visit this place while I was in Kyoto! Seems just stunning. Wow stunning photo! Kyoto is simply beautiful, love the tranquility and peacefulness. Happy Travel!